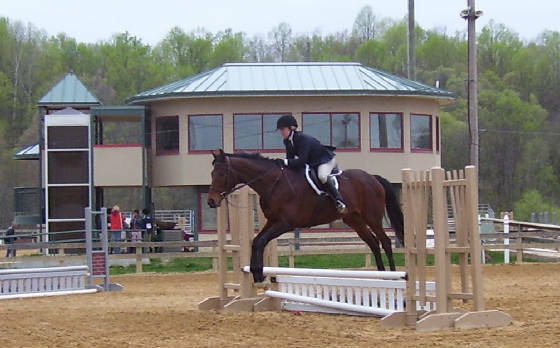 Thunder went to his first horse show on April 13, 2008 - the Southern Maryland Horse Show Association show at the Prince George's County Equestrian Center (The Showplace Arena). He was surprisingly well-behaved...I was braced for much worse behavior, given my fear that when surrounded by strange horses and noise and chaos, his head would revert back to the track. It didn't - he clearly understands that he has a new life with me, and was unfazed by the strange horses and activity. 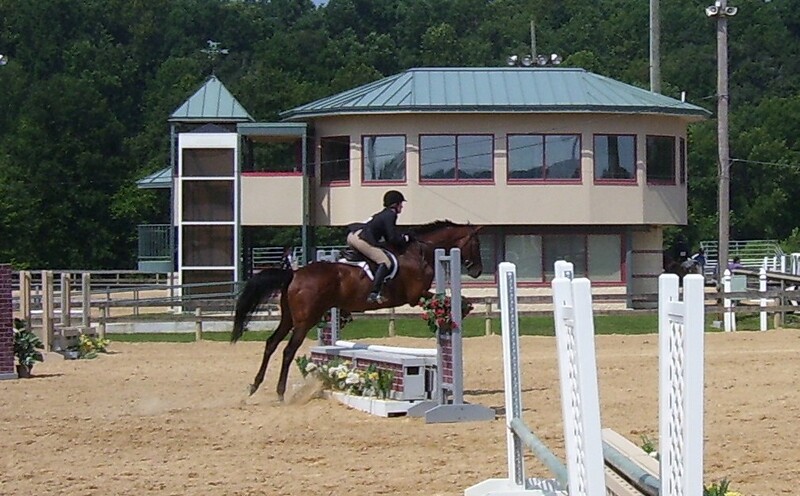 He was a little energetic and nervous (before his hunter rounds I could feel his heart pounding through the saddle! ), but it worked out of him over the course of the day. 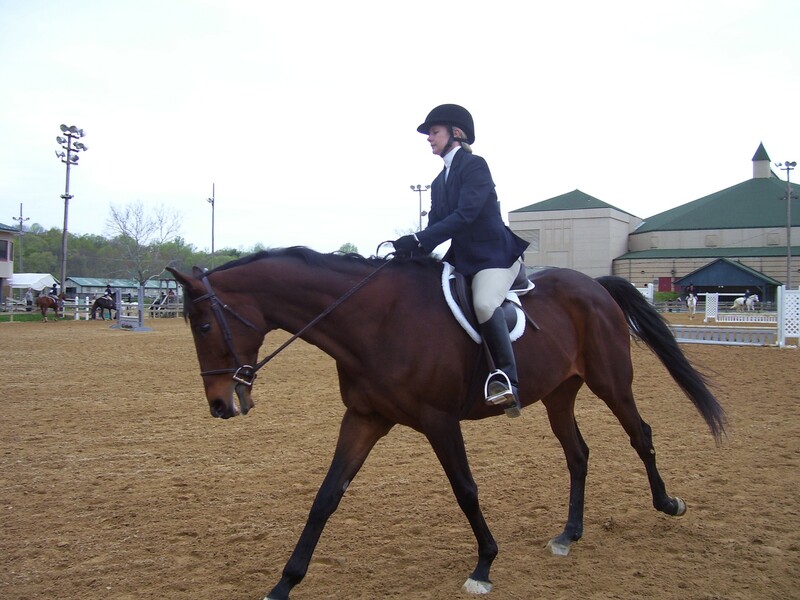 He has since been showing on both the Maryland Saddle Association (MSA) and Black Eyed Susan Series (BEST) circuits - he is still new to the show scene but seems more and more adjusted to the scene with each horse show. Thunder's first hack class, April 08 . 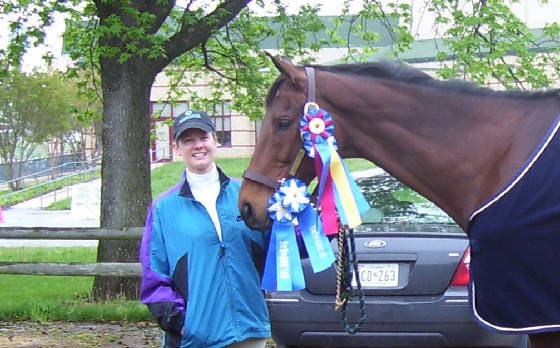 He won his first ribbon ever in this class, a fifth place. 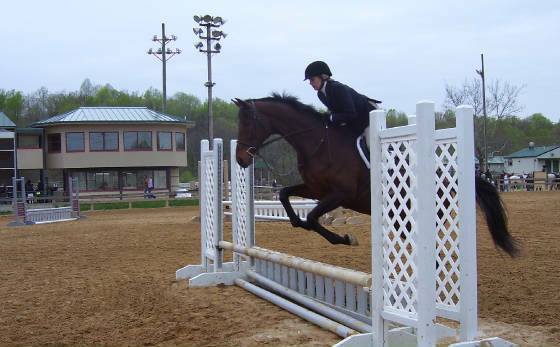 Over fences in the Novice division...starting to relax a little. Thunder's big day at the BEST show at the end of April! 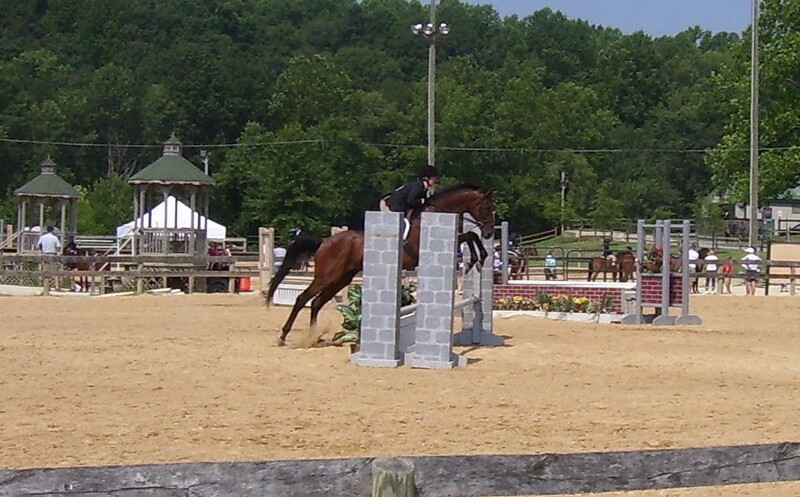 Over the fences at MSA in July. Can you see the improvement? More MSA in July...I love this shot!